1. Where are the headquarters of central management? 2. Practical tips: What role for the steering committee? A debate is expected on 11th May 2012 before the labour courts in Cologne as to whether central management may unilaterally change the territorial jurisdiction which has been clearly defined in the EWC agreement. So far there has been no case-law on the subject. Central management of Visteon, the US automobile supplier, is of the opinion that their EWC agreement signed in 2001 under German legislation, no longer lies under German jurisdiction since parts of the European management functions have been shifted in the last few years from Germany to the United Kingdom. Negotiations for a new EWC agreement have been in progress since March 2011 (see report in EWC News 1/2011) - so far without succes. The EWC Academy acts as advisor to the employee representatives. The legal case is highly sensitive and is of fundamental importance. If the judges choose to follow this reasoning, the contractual bargaining autonomy of the social partners and thereby one of the main philosophical pillars supporting the EWC Directive would come under question throughout Europe. This would then set in motion a virtual caravan crossing the English Channel since some employers consider the softer British legislation as a possible advantage when it comes to "Court Shopping". A crucial point hereby is that legal costs do not have to be paid by the employer in the United Kingdom. Since a EWC generally has no financial means, this actually means that the recourse to legal action is impossible - a very serious violation of European Union standards. How did the legal dispute start? The European works council of Visteon wanted to prevent the closure of a Spanish plant in the summer of 2011 through a provisional injunction order, since its participation rights were violated under the new EWC legislation. Although the request was rejected by the Cologne district Labour Court on 8th September 2011, they did nevertheless rule that the law had been broken (see report in EWC News 3/2011). Subsequently the legal case followed its normal course and could go as far as the European Court of Justice in Luxembourg. The debate is whether the transposition of the EWC Directive’s provisions for sanctions by the German legislator is EU-compliant. The same question would arise for the British legislator if this affair came under the jurisdiction of British courts. First of all, the coordinated resistance of the works councils on European and Spanish levels led to an unexpected result: on 3rd November 2011 the mass redundancies were prohibited by the labour authorities in Andalusia on the grounds that the employer had not examined all alternatives to the closure. A social plan was concluded on 26th January 2012 only after a further round of consultations, with provisions for compensation payments from Visteon and the sale of the plant in the Cádiz region to the Spanish state, who will look for an investor. The European works council subsequently terminated the consultation procedure on the European level, by adopting an opinion in an extraordinary meeting on 2nd February 2012 in Kerpen near Cologne. It was based on calculations from a study commissioned by the EWC, which pin-points a failure in the management process dating back from 2007. We have observed a definite change since the beginning of the legal dispute. It’s no longer a “song and dance act” and the council is being much more involved than previously. Central management members have gone through a sort of "on-the-job training" on consultation procedures. Although the outcome of the legal case is not yet known, this is already a success. I can only encourage other EWC chairmen to also take these steps. Cool Water in Ludwigshafen labour court? The employee representatives of Coty, the Cosmetics group which is a subsidiary of Donata Holding SE are thinking on similar lines. The SE works council filed a complaint on 16th February 2012 with the labour court in Ludwigshafen (Germany) for violation of its rights in the context of a restructuring. Central management would like to establish a "Center of Excellence" in Geneva for its perfume brands Calvin Klein, Davidoff, David Beckham, Jil Sander, Joop, Lancaster, etc. and to reduce the workforce in other countries. Central management has informed the SE works council on the subject but is refusing any consultation procedure. This question is now to be decided by judges. In the case of the Donata Holding SE the headquarters of central management could also play a role, since the financial holding is legally resident in Vienna. The company is however managed from Ludwigshafen, which is why Ludwigshafen was specified as jurisdiction in the SE participation agreement. The EWC Academy gives counsel to the SE works council. These are the first ever legal proceedings in Europe, to be undertaken by a SE works council. Both of the well-known SE legal proceedings in Strabag, the Construction Holding and in Porsche (see report in EWC News 4/2008) dealt with the establishment of SE works councils, but not however the rights of an already existing SE works council. On 27th February 2012, the European Commission formally requested the United Kingdom to complete the transposition of the European Union Directive on European works councils. The government in London had ommitted Gibraltar in the scope of its provisions. There are at present proceedings against three other countries for infringement (see report in EWC News 4/2011). One of the most significant improvements of the new EWC Directive is the strengthened role of the steering committee (also known as board, select or executive committee). It is the dialogue partner of management during restructuring. Although it may invite all countries directly concerned by the measures to extraordinary meetings, the actual work has to be carried out by its members. What rules apply to it? Wheras in the old Directive there were no provisions at all for ordinary meetings of the steering committee (only in extraordinary cases), there is now the formulation that it “must benefit from conditions enabling it to exercise its activities on a regular basis”. The number of meetings is not fixed which provides a large degree of latitude. In Axa, the French insurance group, there are meetings on a monthly basis (see report in EWC News 2/2009). A sound consultation procedure requires a fully operational steering committee. It needs the necessary time, support from experts and the necessary means including even translation and travel possibilities, in order to properly fulfill its role. A correct “state of the art” consultation procedure (see report in EWC News 3/2011) changes the "burden of proof". The steering committee no longer begs central management for more means, but the employer rather pushes for extraordinary meetings and for the rapid adoption of an opinion, so that the consulation phase can be concluded as fast as possible. The new EWC Directive is very explicit on the subject: Measures may only be taken once the EWC has formally expressed its opinion and in consideration of all business data. There were already court rulings on the subject under the old EWC Directive, for example in the case of Gaz de France (see report in EWC News 1/2008). The analysis of business data is not in itself sufficient to prepare a statement of opinion. Discussions with managers in individual countries may be needed to build up a comprehensive picture. In addition there are contacts with the responsible employee representatives (or with individual employees where these do not exist), also with sites which are not directly represented in the EWC. A right of access to all European sites for the members of the steering committee is therefore very important. While the old EWC Directive was strongly oriented around the responsibility of its individual representatives, the new Directive speaks clearly of the collective responsibility of the whole body. The steering committee is primarily responsible for coordinating the safeguarding of this obligation. The implementation of the new standards does not only fail in practice because of management. There are European works councils, which have to be "brought to life" and admit to themselves that the song and dance act in comfortable hotel armchairs is over. The steering committee depends therefore on pro-active personalities. The legislator has in any case increased the number of seats in the subsidiary provisions: the committee may now have up to five members whereas before it was only three. N.B. : these rules do not apply automatically! Old agreements, which were first concluded up to September 1996, or which were modified between June 2009 and June 2011, are not covered by the new legal situation. In these cases renegotiation of the EWC agreement is absolutely necessary. A seminar is being organized in Montabaur castle from 10th to 13th April 2012 which examines the main task of a steering committee: information and consultation during restructuring. Registrations are still possible. On 10th November 2011 the Swedish SCA group announced its intention to buy the European activities of the US Company, Georgia Pacific. It involves 15 factories with 5,000 employees in seven countries. The European works council of Georgia Pacific – established in 2008 under British legislation – has requested a business study of the merger on the basis of the new EWC legislation. After initial hesitation central management finally agreed. An analysis was carried out by a French works council consulting company, following common EWC counseling practice in France. Based on this study the EWC concluded the consultation procedure by adopting an opinion in an extraordinary meeting on 4th January 2012. For the trade union Unite this was a premiere: never before has a consultation procedure been carried out by a British EWC in such a genuine fashion in the context of a planned acquisition. This example demonstrates how the EWC Directive modeled on the French concept can change practice in countries with completely different labour relation traditions. We can expect that this will not remain an isolated case in the United Kingdom. Whilst SCA has not yet finalized the acquisition of Georgia Pacific to strengthen its Hygiene sector, central management is planning the sale of its packaging division to DS Smith, the British recycling company. 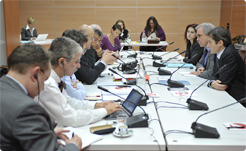 The SCA European works council was informed in a teleconference on 17th January 2012. However, so far a consultation procedure has only been started in France, but not on a European level. The new European Union consultation standards have apparently not yet reached Sweden, although SCA established an exemplary EWC structure in 1995. Four European divisional works councils were established under one Holding EWC, one of which is for SCA Packaging. This will most probably be merged with the DS Smith EWC established in 1996 under British legislation. Most probably, the EWC of Georgia Pacific will also not continue in its current form and will merge with the European divisional works council of SCA Hygiene Products. This company was converted into the European Company (SE) legal form in September 2009 under German legislation (see report in EWC News 3/2009), and Georgia Pacific has therefore to be taken into account in the employee representation on the SE supervisory board. On 31st January 2012, ThyssenKrupp, the German Steel and Technology group, announced the sale of its entire high-grade steel division to Outokumpu. The sale is part of a comprehensive portfolio shakeup decided on 13th May 2011, which also included the sale of the shipyard Blohm + Voss from Hamburg to a financial investor. Altogether 35,000 employees are affected by the sale of these plants. At both German sites, Krefeld and Bochum, production is to be progressively diminished. Outokumpu and employee representatives have agreed on appropriate measures for safeguarding plants and job security. Amongst other things they agreed on an absolute ban on dismissals for economic reasons in all German production sites up to the end of 2015. Outokumpu has its own EWC under Finish legislation since 1996 which must soon integrate employee representatives from the previous ThyssenKrupp high-grade steel sites in Germany and Italy. On 29th February 2012 both car manufacturing groups, General Motors (GM) and PSA Peugeot Citroën, announced a strategic alliance. They are planning a combined production network, and consequently the use of common components and modules, as well as common world-wide purchasing. Although the merger will probably lead to the closure of four manufacturing plants, trade unions in Germany and France have initially welcomed the alliance. The GM European works council can see both "oportunities and risks" in this co-operation, which is to bring annual synergies of 1.5 billion €. The global alliance should not however disadvantage in any way the employees in the European development and production sites. In the subsequent days there was more and more talk and warnings of the threat of plant closures, workforce reductions and changes to existing contracts. On 6th March 2012 it was revealed that GM works council members were planning an urgent meeting with French trade unions. PSA Peugeot Citroën is furthermore holding an extraordinary meeting of its European works council on 16th March 2012 at the company headquarters in Paris. Although the European works council of GM could not prevent the plant closure in Antwerp, Belgium in 2010 (see report in EWC News 3/2010), it is nevertheless considered to be one of the most powerful transnational employee representations ever. The European works council of PSA Peugeot Citroën was confronted in 2007 with the surprise closure of the Ryton plant in England following an inadequate consultation procedure. Changes in structure: What are the consequences for the EWC agreement? A workshop dealing with the legal situation of such mergers, spin-offs or strategic alliances is taking place from 8th to 10th October 2012 in Rheinfels castle. As a complete surprise, Coca Cola decided on 5th January 2012 the immediate closure of its Łódź drinks manufacturing site in central Poland. Employees demonstrated on 13th January 2012 against the main sponsor of the European football championship, which is being held in Poland this year. According to trade unions labour costs do not play a decisive role in the closure. On 24th January 2012, 1,500 employees of T-Mobile, the mobile network operator and subsidiary of Deutsche Telekom, protested in the Croatian capital, Zagreb, against the dismantling of the permanent workforce and their replacement by subcontractors and students. Protesters delivered a petition to the German Embassy demanding an end to the company’s double standards. Several trade unions had already filed complaints in July 2011 against Deutsche Telekom with the OECD (see report in EWC News 2/2011). After a 20-day long strike, the 860 employees of the Electrolux household appliance plant in Satu Mare, north Romania, were able to return to work on 21st February 2012. They succeeded in obtaining most of their demands, including an immediate pay increase of 24 € per employee. The factory on the Hungarian border is the largest of its kind in Romania and therefore acts as a role model. Solidarity came from both Romania and abroad, including the works council in Nuremberg, where production in the AEG plant was shut down in 2006. 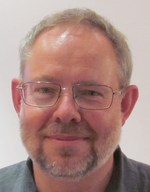 Clemens Rode (photo), who has been a project manager at the Friedrich Ebert Foundation in East Europe for many years, is available from now on, as a freelance adviser of the EWC Academy for Inhouse seminars and counseling. This service is particularly addressed to European works councils who have no employee representatives in Central and East European countries or who wish to develop contacts there. A workshop is being held for this target group in Rheinfels castle from 8th to 10th October 2012. Is the Yamaha EWC a farce? On 7th February 2012, Nokia Siemens Networks (NSN), the communication technology company released more details on its already announced global restructuring plans. 2,900 jobs are to be cut alone in Germany and a further 1,200 in Finland. Coordinated demonstrations had already started, on 1st February 2012, in the countries where the parent companies of the joint-undertaking have their headquarters. NSN established a default EWC in 2010 under Finnish legislation, since the negotiations for a EWC agreement had lasted three years with no result (see report in EWC News 3/2010). Around 50 employee representatives from Spain, Italy, Belgium, Great Britain, Denmark, Austria and Switzerland met on 9th March 2012 at Cologne/Bonn airport. They want to take coordinated action against the privatisation of ground handling. If the European Commission does not withdraw its plans, they will organize internationally coordinated strikes among the 250,000 employees of the industry during summer 2012. Trade unions fear wage dumping from private service providers. The constitutional meeting for the establishment of the EWC of Ideal Standard, the sanitation manufacturer, took place from 8th to 10th November 2011 in Brussels under Belgian legislation. Its 21 members represent 9,000 employees and meet once per year. The EWC agreement is based on the new legal situation and provides a right to one week of training per term of office. The steering committee is made up of three members plus one substitute. The chair went to Bulgaria, where one of the largest European plants is situated. 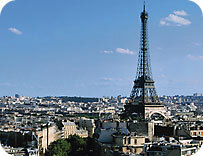 Further members come from France, Germany and the United Kingdom. Ideal Standard was founded from the US company, American Standard, which split up in 2007. American Standard already had a EWC since 2001. However sanitation was only one of three divisions (see report in EWC News 1/2007). The central management of Alstom, the French mechanical engineering group and the European Metalworkers’ Federation (EMF) signed an agreement on social standards on 16th January 2012 for the joint undertaking for large utility boilers with Shanghai Electric. The document not only contains provisions for job security for the employees concerned, but also plans a monitoring committee. Without the present agreement there would probably have been a Special Negotiating Body (SNB) in place for three years, but no EWC. The monitoring group meets once annually and will supervise the implementation of the agreement. It is to be dissolved once a European works council is established for Shanghai Electric. This effectively establishes a sort of provisional EWC, such as in Nokia Siemens Networks in 2007 (see report in EWC News 2/2007). This transnational collective agreement is the second ever of its kind to be concluded in Europe (see report in EWC News 2/2010). The EWC of Kühne + Nagel was established on 23rd February 2012 in Mechelen near Brussels and represents 40,000 employees. 29 representatives from a total of 23 countries took part in the meeting and a five-member steering committee was elected: Michael Kalis from Germany (in front of the picture) took on the chair with further members coming from France, Austria, Germany and the United Kingdom. The EWC was established according to the default provisions under British legislation. Central management has its legal headquarters in Switzerland; however the company is actually managed from Germany. Employee representatives from this transport group had been trying unsuccessfully since 1996 to establish a EWC (see report in EWC News 1/2008). They had to take central management to the European Court of Justice to enforce their information rights. The ruling was used as a reference by the European Commission, to establish an appropriate passage in the new EWC Directive ("Lex Kühne + Nagel"). However, the owner’s aversion to any form of employee participation did not disappear. Further court cases were to follow in Sweden, Austria and Slovakia (see report in EWC News 1/2010). Negotiations on a EWC agreement are to begin on 25th April 2012. The EWC agreement of Continental was updated on 27th October 2011 in a meeting in Budapest. In 1992 the tire manufacturer was one of the first German companies to establish a European forum, including also the employer. This basic structure remains in place. However the definition for information and consultation is new and has been taken literally from the new EWC Directive. The legal right to training is also new. The steering committee is responsible for any renegotiation of the EWC agreement following changes in structure. A special negotiation body (SNB) is therefore not established. However the employee representatives were not ready to accept a provision, according to article 13 of the new EWC Directive and which would have invalidated their legal right to renegotiate (see report in EWC News 4/2011). Continental is one of the few cases, in which a German EWC agreement was challenged on legal grounds: in April 2009 in the context of a plant closure in France (see report in EWC News 2/2009). The EWC agreement for Randstad was updated on 18th November 2011 in a meeting in Amsterdam. The world’s second largest personnel service provider has had a EWC in place since 1996 under Dutch legislation. The text now integrates the new definition of information and consultation, a right to training and more time-off work. The fact that no interpretation is provided for meetings is however problematic. A new EWC agreement for Norsk Hydro was signed on 13th January 2012 in Oslo under Norwegian legislation. The EWC established in 2004 meets once annually and is made up of 30 representatives. Within the EWC there are sub-committees for the three different divisions. Norsk Hydro also concluded an international framework agreement in March 2011 (see report in EWC News 2/2011). For weeks the Dutch trade union, FNV Bondgenoten, in the Netherlands, has been running a strike with the slogan "clean enough" (schoon genoeg) to demand decent pay for 150,000 cleaning workers. "Marches for respect" took place in nine cities. UNI, the trade-union umbrella organization campaigned on an international level for support which met with a positive response even in Australia. The collective bargaining parties in the automobile industry concluded a fundamental agreement on 24th January 2012 in Prague which represents a milestone for labour relations in Czechia. It defines standards for flexible working time, health and safety, performance based remuneration, as well as for social dialogue and the process of collective bargaining at the individual company level. A classical nation-wide agreement in the industry, which represents 20% of the total industrial production of the country, was last concluded in 1993. United Kingdom: National collective agreement for petrol truck drivers? On 28th February 2012 the largest British trade union, Unite, announced a country-wide strike ballot in petroleum logistics, in support of a branch collective agreement for petrol truck drivers. It does not deal with wage increases, but with the establishment of a forum across companies to address safety matters, occupational training and working conditions for the entire industry. DHL, the logistics subsidiary of the German Post Office, is also amongst the companies concerned by the strike ballot. On 2nd February 2012 the EWC of Rio Tinto intervened in a labour dispute in the province of Quebec. Since Alcan, the aluminum manufacturer, was acquired by the British-Australian raw material group, Rio Tinto (see report in EWC News 2/2007) all employee departures from the Canadian plant in Alma are being replaced by only low paid subcontractors. Following the breakdown of negotiations on the matter, the employer proceeded in a lockout of the 780 employees for a period of weeks. On 17th February 2012 they demonstrated in front of the company headquarters of Alcan in Montreal (photo) and on 29th February 2012 the unions began in Geneva, an international solidarity campaign. Employee representatives from the different plants of Holcim, the Swiss cement manufacturer, met on 10th and 11th February 2012 in Fez (Morocco), to develop a global network. They are also demanding that central management guarantees social dialogue and sufficient occupational safety in the developing countries. A few days later, on 22nd February 2012, an Indian trade union filed an official complaint against Holcim with the OECD. FCC, the Spanish building group has gone one step further than Holcim. A globally applicable agreement on fundamental social rights was signed in Madrid on 21st February 2012. Freedom for trade-union activities will also be guaranteed hereby for the 70,000 employees. Apart from the building industry FCC does business in maintenance and disposal as well as in building and infrastructure management. A project initiated by FABI, the Italian trade union for bank employees and financially sponsored by the European Union was carried out during 2011 to promote co-operation of European works councils in the finance business. Trade unions from eight countries were involved. The individual workshop documents and the final report were published on a dedicated Internet site. The organization for economic co-operation and development (OECD) has put in place since May 2011 a new set of guidelines for responsible business conduct in multinationals (see report in EWC News 2/2011). The trade union advisory committee at the headquarters of the OECD in Paris (TUAC) documents offences against these guidelines on a new website. Deutsche Telekom belongs to the most prominent cases as well as the food groups Unilever and Nestlé. 22 trade union organizations from the countries around the Baltic Sea have been cooperating since 1999 in the BASTUN network, aimed at promoting social dialogue, collective bargaining and socially responsible business development in the region. Besides the European Union countries, Russia is also involved. The chair is at present held by the German trade union confederation (DGB). The various activities are documented on a website. With its almost 300 terms, the on-line dictionary of Eurofound, the European Union agency in Dublin, dealing with European labour relations is updated once per year. It contains descriptions of trade unions and collective bargaining systems, the participation rights of works councils, collective and individual labour legislation, anti-discrimination and equal treatment and even occupational health and safety. Unfortunately it exists only in English. We have arranged various further interesting websites into a collection of links. In November 2011 the German Ministry of Labour released a brochure on the social security systems within the European Union. Separate chapters are also dedicated to both labour legislation and employee participation. The brochure is available free of charge in German and English, both in hard-copy as well as on CD-Rom. The contents of the publication can furthermore be consulted on-line on the dedicated website, which is particularly useful for country comparisons. This collection was released at the beginning of January 2012 and covers the different national bargaining systems and EU law. After an introduction to the European legal standards a total of 14 countries are individually presented, including Switzerland and Turkey. The contributions on the United Kingdom and Italy are printed in English, and all other surveys in German. The authors highlight the respective trade union landscapes, the different kinds of collective agreements and the flow of a bargaining round. They identify whether negotiations are led more on a shop-floor or branch level, whether collective agreements are universally binding and how the right to strike is organized. This branch level study was published on 9th January 2012 and covers the changes in employee participation within the banking industry as a consequence of the recession and the financial market crisis. The industry was particularly hard hit in the United Kingdom and Hungary, and according to practical findings the company level social dialogue has gained in importance in both countries. Swedish banks were also negatively affected due to their commitments in the Baltic, whereas banks in Spain and Italy were hardly concerned by the crisis. An end to the ongoing restructuring caused by the major banks is not in sight even after the crisis and, in the author’s opinion, requires a proactive strategy on the part of employee representatives e.g. through nation-wide framework agreements. The 13th edition of this standard commentary on labour relations legislation was published on 30th January 2012. The authors, Däubler/Bachner/Klebe, have dedicated an appendix to the transnational work of works councils. This 103 page document comments on the German EWC legislation as well as the SE participation law, and has a CD-Rom supplement and a form book. The authors have already taken into consideration the new legal situation of the European works council. The book is only available in German. We have arranged further technical literature on a literature website. On 23rd and 24th January 2011 around 40 employee representatives from 22 companies – both from Germany and a further eight countries – met together in the annual EWC conference in Hamburg. Simultaneous interpretation in English and French was once again available during the meeting. Besides the metalworking and electrical industries both insurance and the pharmaceutical industries were strongly represented. Additional participants came from the petroleum business, ophthalmics, tobacco processing, perfume producers, logistics, education and market study. The first day focused on the question of a correct information and consultation procedure under the new legal standards. What to do, if central management does not respect the new legal situation? Which topics can the EWC bring into a negotiation process with central management? The second day was completely dedicated to the five most important countries of Central and Eastern Europe: Poland, the Czech Republic, Slovakia, Hungary and Romania. The integration of representatives from EU acceding countries still represents a challenge for many European and SE works councils. How to make contacts when there are no local employee representatives yet in place? What is current situation on labour law, trade unions and works councils? Four speakers from Warsaw, Bratislava, Budapest and Bucharest addressed these issues during the conference. The SE works council of the Donata Holding met on 7th and 8th February 2012 in Mainz (photo). The delegates from 18 countries wish to establish a better basis for their work and had therefore invited representatives of the European works councils of BT and Axa to report on their exemplary work. The Donata Holding SE produces and markets through its subsidiary, Coty, perfume marks such as Calvin Klein, Davidoff, David Beckham, Jil Sander, Joop and Lancaster. The EWC Academy acts as advisor to the SE works council. Around 25 German members of the four European divisional works councils and the Holding EWC of EADS met together in Hamburg on 21st and 22nd February. With the support of the EWC Academy they familiarized themselves with the characteristics of a correct information and consultation procedure under the new legal situation and discussed the need to adapt their EWC agreements. While the EWC agreement for the EADS Holding was already updated in October 2008 (see report in EWC News 1/2009) followed by Airbus in June 2011 (see report in EWC News 4/2011), the three remaining divisions have not yet been updated. The European works council of the Skandinaviska Enskilda Banken (SEB) met on 6th and 7th March 2012 in Dublin. With support of the EWC Academy an analysis was made of the employee representation structures in the individual countries and a discussion took place on how to adapt the EWC work to the standards of the new EU Directive. The SEB group had established a EWC on the basis of the subsidiary requirements of the Swedish EWC legislation in May 2003, after negotiations between central management and the special negotiation body had come to no result. As a consequence, the new standards for information and consultation apply immediately to this leading Nordic universal bank with its 17,000 employees. The EWC Academy and its predecessor have been organizing and delivering conferences and training seminars for the members of European works councils, SE works councils and special negotiation bodies since January 2009. So far 357 employee representatives from 158 companies have taken part (representing about 16% of all companies in Europe with an established EWC). For 2012 a German language pamphlet provides an overview of the currently planned events. Further dates and seminar topics are in preparation. "Song and dance act" or real European works council? A EWC seminar is being organized from 10th to 13th April 2012 in Montabaur castle (photo), to highlight the new legal situation for information and consultation under the aspect of restructuring. How does a European works council concretely carry out the consultation procedure and prepare a legally binding opinion? This seminar is also appropriate for SE works councils. An introductory seminar will again take place in parallel. It is directed to newly elected EWC members and to works council members seeking information on the establishment of a EWC. The philosophy behind information and consultation in the EU Directive on European works councils as well as in employee participation in the European Company (SE) is closely tailored around French industrial relations. An exact knowledge of the subtleties of the French model is therefore indispensable. Participation to the conference is possible according to Article 10 (4) of the EWC Directive and it will be simultaneously interpreted (English on request).